It’s one of life’s certainties, but what does it mean to have a good death? 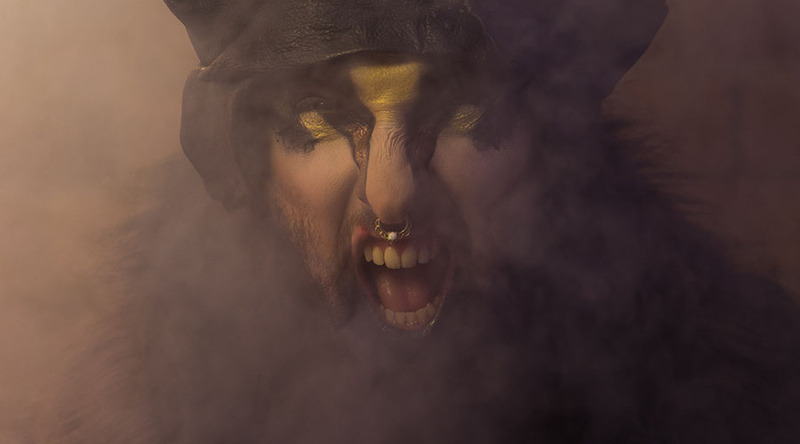 Metro Arts’ bi-annual multi-arts festival Deathfest returns next month, exploring death, dying and whole-hearted living with a jam-packed 21-day city-wide program from 15 October – 4 November. Deathfest 2.0: a duel with death encourages broader conversation and open-mindedness about death literacy via a thoughtfully-curated program of live theatre, visual art, circus, discussions and provocative sessions. Returning to Brisbane after a compelling first outing in 2016, the three-week event – the only one of its kind in Queensland – features 13 profound works, including five world premieres and six national premieres, plus signature events from across the globe. Metro Arts Creative Director and CEO Jo Thomas said Metro Arts was proud to champion conversation and literacy around death, grieving, living and dying well. “Unlike other cultures around the world where death is commemorated through joyous celebrations, here in Australia, we have largely taken grief and mourning behind closed doors,” Thomas said. “Deathfest gives us the opportunity to explore and embrace grief through shared heartbreak or soulreleasing stories. Starting the conversation are two outstanding artists-in-residence at South Bank’s new outdoor performance pavilion Flowstate. Textile artist Dana Lawrie will create a unique installation reflecting upon impermanence; while artist Kellie O’Dempsey and her team will create a performance, with work generated onsite reflecting her own experience of not being “allowed” to be at her mother’s funeral as a young girl. Living Out Loud is a sincere and honest panel discussion exploring true experiences with death through prominent Australians including Brisbane clowning brothers, Peter and David Bissell (aka Peebo and Dagwood Clowns), renowned aerialist Lauren Watson, and Melbourne comedian, writer and multi cancer survivor Luke Ryan. In a unique and heartfelt collaboration commissioned by Metro Arts, Queensland’s largest youth circus, Flipside Circus, partners with Hummingbird House – Queensland’s only palliative care facility for children. Flipside has been working with families, children and staff in the House teaching circus skills. Out of these workshops, the team will bring to life We Live Here – a world premiere exploring death from a child’s perspective, the memories we make and how they live on long after we leave. Other key works include Bushland from UK artists French & Mottershead offering a deeply affecting aural immersion about the body after death; Julie Vulcan’s new installation Bloodstock considering the anonymous blood donor standing invisibly at the threshold of life and death; and an opportunity to get involved in some good old-fashioned storytelling through Yarn Storytelling – ghost-stories. And then there’s the afterlife party, Cthonica encouraging you to purge your sins, summon your loved ones and stare into the abyss… A celebration where everyone can have the night of their (after)life with deathjockeys, roving performances and deep dark installations taking you from this life to the next. METRO ARTS – DEATHFEST from Metro Arts on Vimeo.